Possibly it could be relevant where a dual UK/EU citizen child or parent falls outside the scope of free movement law - then EU citizenship law would apply. Lounes should clarify what that scope is in the case of dual UK/EU citizens. In Dereci the father was not the primary carer, which distinguishes it from Chavez-Vilchez - although I notice that the 'primary carer' test was not specifically mentioned in Dereci. What about a scenario where EU citizen marry a non EU citizen and during the term of their marriage have a child with another non EU citizen. Do the child from the non EU citizen have right of stay under EU law? Also if the non EU citizen has no child with the EU citizen and do not have a permanent right of stay but only has a time resident permit in lieu of applying for a permanent resident but has divorce the EU citizen. 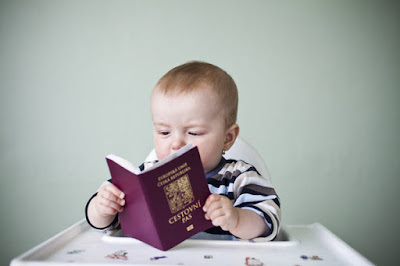 Will the child from the non EU citizen again have a right stay under EU law ? Remember this case is about home state EU citizen children. Immigration status derived from being a family member of an EU citizen who has moved within the EU is a different issue (free movement law), which was not the main focus of this case. I'll assume your questions are only about home State EU citizens. Nothing in certain in the absence of case law, but since this case is about home State EU citizen children the child has the right to stay as a citizen. As for the child's parent, logically the answer to the first question is it depends on whether the second non-EU citizen is the primary carer of the home State EU citizen child. Re the second question, I assume it's the same scenario except the first non-EU citizen is getting a divorce. Again, the EU citizen home State child has a right to stay as a citizen, while the second non-EU citizen can stay if he or she is the primary carer of that child as defined by the ECJ in this case. The case concerned whether they had the residence right that would then enable them to claim benefit. The ECJ was only asked to rule on the residence aspect. UK case law has said Zambrano carers are entitled to benefits, but they can be limited. Yes, the ECJ has strengthened and clarified their residence rights. What about a non-EU widowed, primary care giver mother to EU citizens/minor children (who obtained citizenship by way of their late father? Minor children are Irish citizens, mother has USA passport. Mother is looking to take children to Spain to live. Since the family unit would not be living in Ireland, would the non-EU mother have any rights to live or work in Spain? That would be a case where free movement law would apply. In cases like Chen the ECJ has said that the EU child citizen has free movement rights, with the non-EU parent having a corollary right to stay as primary carer of the EU citizen. The parent's financial support it sufficient for the child to show 'sufficient resources' to qualify to stay. However the ECJ case law has not yet addressed whether the parent has a right to work or receive benefits in this scenario. Absolute rubbish... I am a non-EU mother of two minor EU citizens, currently residing with me in Russia. They have absolutely no rights whatsoever compared to other EU kids. We cannot go on vacation to an EU country, get a long stay visa, or apply for a residence permit elsewhere. I have contacted embassy of Finland, Bulgaria and Czech Republic and all of them told me that we will have no privileges if I apply for visa or a residence permit. So pardon me, no need to write about non-existent rights. You do realise Russia isn't in the EU? The point is that the case law turns on *removing* EU children from the EU, not admitting them. Since this is the latest in a line of court judgments the rights are hardly non-existent. I suggest being less angry and ignorant. Thank you for your kind and smart reply. No worries, my kids and I will stay where we are and face whatever may come. We are already seen as enemies of the state and the situation might get much worse. Never mind, I will face everything that future holds. My frustration is quite understandable I believe. I have been married to an EU citizen for 12 years to be eventually abused and kicked out of an European country with two EU kids under the age of 2 years. Shall I be happy and thankful for that? Would you be less frustrated in my situation? Oh, you will never be in my situation, so it’s so easy to judge, right? When it comes to the right of residence in the EU, I did not ask for benefits or even I a job. I already earn more than an average European does (thanks to my ignorance perhaps). All I asked for is the right of residence for me and my kids. If you start your comments with "Absolute rubbish" and claim that case law doesn't exist, then that's the reply you will get. I can't comment further without knowing further details of how you left the EU and your marriage to an EU citizen (facts which you didn't mention before). By the way, I have not said that law does not exist. Law does not seem to work in my opinion. And no problem, I completely understand your reaction. Nowadays, the words Russian/Russia are like a red flag that triggers aggression and suspicion. You are not the first one to put me in my proper place. Funnily enough, we are treated with suspicion in Russia, because of dual citizenship of my kids and my long-term absence from the country. To put the icing on the cake, we are not welcome (to say the least) in the EU either. I wonder, is there a place that we will be able to call home one day? You welcome refugees from Afghanistan, Africa and other countries and refuse the right of residence to minor EU citizens? Call me ignorant again, but this does not make much sense to me, but perhaps there is a great idea behind such state of affairs. And yes, I am still married to an EU citizen, but this might change any time soon. I am not going to stay in abusive relationship, neither for the sake of EU passport nor for the right of residence, so you can punish me and my kids for that if you wish so. I will not comment on the article anymore, so all the best to all of you guys and merry X-mas. I can't advise on individual cases. It's not absolutely certain yet but it looks as if the UK/EU withdrawal agreement will not cover such cases, so it will be up to national law. I think what the Russian lady was alluding to is the lack in legal certainty/security. As per her posts she would be entitled to obtain a visa at the border if she can produce a Hague Apostille bcert for her children and if 2004/38/EC would be actually reliably applied. Unfortunately there is little legal security for EU law and the damage due to this divergence (millions of frustrated rejects) can be far bigger than the merit of e.g. 2004/38/EC. So actually her "absolute rubbish... no existent rights" remark nicely summed this aspect up for me.